Swiss watchmaker Omega has announced a new version of its historic space watch, tested and qualified with ESA’s help and drawing on an invention of ESA astronaut Jean-François Clervoy. Jean-François flew in space three times in the 1990s and began thinking how to improve the wristwatches he wore on his missions. ESA filed a patent based on his ideas for a timepiece that helps astronauts to track their mission events. One of the new functions allows the wearer to set a date in the past or future down to the second and have the watch calculate how much time has elapsed or is left. The Skywalker has passed rigorous testing at ESA’s technical heart, ESTEC, in Noordwijk, the Netherlands, where many ESA satellites are put through their paces before launch. 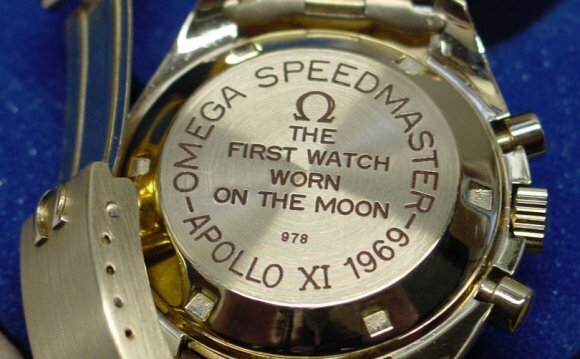 The timepiece proved itself capable of surviving anything an astronaut might experience – and more. First, it displayed ruggedness by surviving ESTEC’s shaker simulating the intense vibrations of a launch. Then it was spun in a centrifuge to reach seven times the gravity we feel on Earth, just like an astronaut might endure when returning to our planet. The next step was to analyse its performance after sitting in a vacuum chamber with temperatures ranging from –45°C to +75°C, a far greater range than an astronaut would ever have to endure. Finally, the watch was blasted with radiation in Sweden under supervision by France’s ONERA/DESP aerospace centre to simulate space radiation. Each watch was inspected visually and its functions were reviewed before and after each test. The Skywalker model is upgraded with new software loaded in an advanced quartz-based timekeeping unit with a more robust, redesigned case. A dual analogue and digital display provides quick access to multiple time references such as time zones or elapsed time for precise time logging. President of Omega, Stephen Urquhart, said: “We are delighted that our friends at the European Space Agency have tested and qualified the Speedmaster Skywalker X-33 for all its piloted missions, which is a natural extension of our long relationship with NASA and its space programme. Jean-François Clervoy concludes: “I am excited and proud to see my invention implemented in a high-precision wristwatch. Note: ESA is an intergovernmental organisation and is not involved in the manufacturing or commercialisation of the Omega Skywalker X-33. Jeffrey W. Steinberger is an American trial lawyer, judge pro tem and adjunct professor of law who lives in Beverly Hills. He is also a TV legal analyst.